S’Cool Sounds (SCS) provides hands-on music instruction for K-12 children through classroom teaching, after school programs, and community events. S’Cool Sounds maintains on-going relationships with multiple New York City schools and partnerships with schools and community centers abroad (in Kenya, Jordan, and Burundi). SCS also offers professional development and school workshops around the country and overseas. 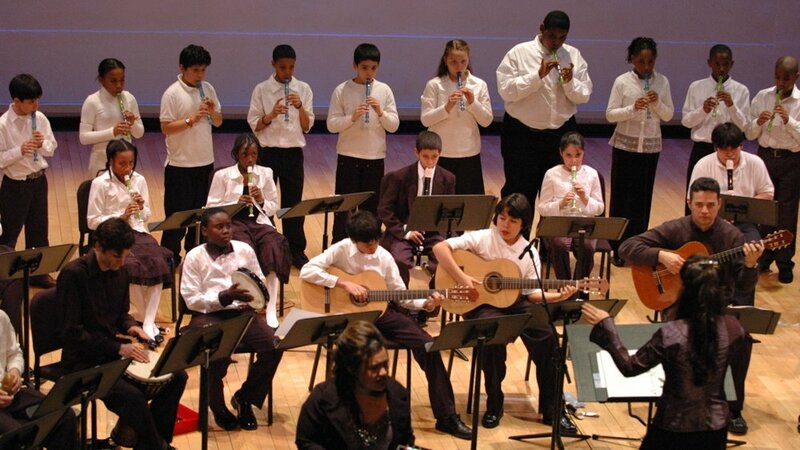 SCS programs emphasize cross-cultural musical training within an ensemble setting. Students learn to play recorders and percussion – universal instruments easily learned in the beginning stages – and quickly come together into vibrantly functioning musical ensembles that remain accessible to any level of training. Montessori and Orff Schulwerk music expert Matilda Giampietro works with SCS Teaching Artists to develop a flexible curriculum that utilizes Artistic Director Nina Stern's “Recorders Without Borders” method as well as proven techniques for cultivating students’ music literacy – including songs, dances, and singing games that integrate physical, aural, and language skills. Activities aim to nurture music creation, participation, performance, and analysis. Teaching materials focus on regional and world music to celebrate local traditions and foster multicultural curiosity. These materials also act as a primary gateway through which students explore musical resources, develop critical responses, and gain cultural sensitivity. As part of its cross-cultural focus and commitment to joyous community building, S’Cool Sounds works with several local humanitarian organizations to connect children through the experience of music-making in communities across their world. Exchanges between SCS students in New York City, Jordan, Burundi, and Kenya have proven to positively affect student motivation and formation.